Confused about the definition of a safe space? You’re not alone. Throughout the years, the term has taken on many different meanings. Couple that with the fact that the phrase has been politicized, and it’s easy to see why Americans are so divided on the issue. On the one hand, some conservatives claim that safe spaces violate the First Amendment. On the other hand, many liberals say that safe spaces are designed to protect the safety and wellbeing of religious and racial minorities, among others. In order to have a productive conversation about topics like this, we have to have a common understanding of what exactly a safe space is—and isn’t. Let’s take a look at how the term has been redefined through the years. Early usages of the term were used to describe extracurricular college groups that were intended to be a refuge for historically marginalized students. Examples include the Gay Straight Alliance, the Black Student Union, and women’s groups. This concept extends to programs like Alcoholics Anonymous, Al-Anon, and other support groups—places where individuals can talk freely about issues they might otherwise completely internalize, connecting with others who have the same struggles. In an academic safe space, students are encouraged to share their thoughts, opinions, or questions—regardless of how offensive they may be. The end goal is to have an open dialogue so that a variety of perspectives can be heard and considered. It is a learning environment that exposes students to diverse viewpoints. This is an expanded version of the original meaning of a safe space. In this definition, the entire campus would be considered a safe space. Some students believe that colleges should ban all speech that is deemed racist, sexist, homophobic, or otherwise offensive. First Amendment advocates take issue with this new safe space definition as it severely limits an individual’s right to free speech. 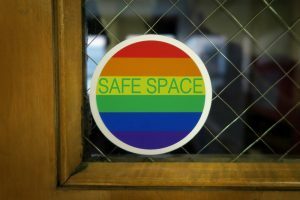 Those who support all-encompassing safe spaces argue that educational institutions have a responsibility to make sure all students feel welcome and secure on campus. What are your thoughts about the three definitions of safe spaces we shared? Do you think schools have an obligation to provide students with an environment that is protected from racist, sexist, homophobic, or otherwise offensive speech? Or does making an entire campus a safe space violate the First Amendment rights of students? 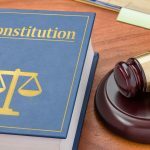 Is the CDC Word Ban a Violation of the First Amendment? Can Politicians Legally Threaten Companies Under the First Amendment?